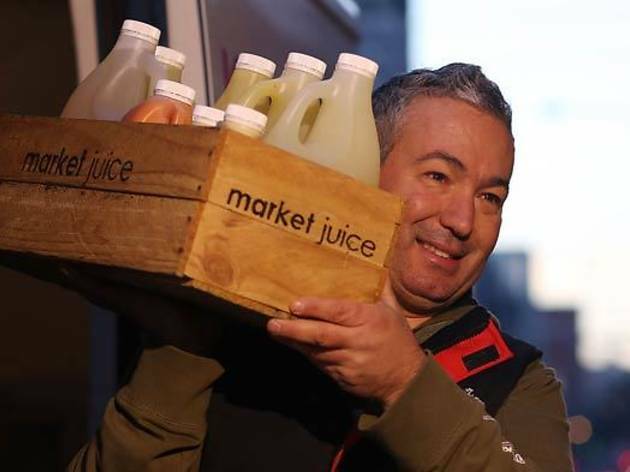 Fruiterer and affable fella Rocco Tripodi starts his day at 2am to prepare juices to deliver to the catering and hospitality industry for their breakfast services – his five vans trundle out to the likes of Seven Seeds, Auction Rooms and Café Vue. 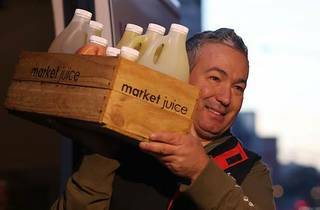 Then it’s over to Vic Markets to open at 5.30am. Who the hell goes to the market at that time? Generally, the owners of other inner-city cafés, after some orange juice or salad ingredients. Then comes the pre-work crowd, picking up breakfast. Another lull, then he’ll get the mums that have just dropped the kids off at school. The lunchtime crowd filter in next, picking up a smoothie or ingredients for their evening meal. That takes Tripodi up to closing time at 2pm on a Tuesday and Thursday – or 5pm on Friday. Tripodi’s known the Queen Vic Market all his life – his older brother John still runs the family fruit and veg stand in Shed A, that’s been there for over 50 years. While Tripodi admits the minimum 12-hour days are hard slogs, he’s happy to be his own boss – and he gets to chat with people truly appreciative of the fruits of his labour. “The market is full of characters, and people aren’t so rushed so they’ll tell you a tale or two. We’ve developed a friendship with Market Lane Café behind us over the years. I don’t even ask for a coffee – he brings one out for me and the staff and when he need some spinach he’ll come and grab a bag. It’s a bit of that mentality that you’re in the trenches together, you’re up early with no one else around.